Fitbit makes a variety of fitness trackers and, more recently, smartwatches - but its two most successful devices are the Charge and Versa. The Charge trackers are Fitbit's best-selling devices, and that streak continues with the Charge 3. The Versa, on the other hand, represents Fitbit's future. It's a device that has essentially brought Fitbit back from the brink. So popular in fact, Fitbit has created the new Lite Edition to make it more affordable. But if you're looking at buying a Fitbit, you'll notice that the Versa Lite Edition and Charge 3 have similar price points. Which one is better for you? We've put them head-to-head to find out. The Versa was a breakthrough device for Fitbit's design, adding a softer, more human feel. The Charge 3 takes heavy inspiration from that. You can see it just by looking at them side by side. However, these are two different devices. The Charge 3 is obviously a fitness tracker while the Versa Lite Edition is more clearly a smartwatch. The Charge 3 has a touchscreen, just like the Versa, and it's the most smartwatch-y fitness tracker Fitbit has made. The Charge 3 also doesn't have buttons, instead opting for a haptic touch spot on the side. The Versa Lite Edition, on the other hand, looks exactly like the Versa save for one difference: it only has one button rather than two. In that way, both devices share the idea of simplicity in control. They've got touchscreens and a single button. Obviously, the Versa Lite Edition has a square display while the Charge 3 has a vertical rectangle. Another thing they both have in common is the ability to accessorize. There are a number of colors and bands for both devices, which should make it easy for you to find one that fits your specific style. The regular Versa and Charge 3 were already best described as cousins. That comparison is even more apt with the Versa Lite Edition and Charge 3. The biggest differentiator between the Versa Lite Edition and Charge 3 is Fitbit OS, the company's smartwatch operating system. It means that you won't be able to download apps on your Charge 3. You also won't get music support. However, one of the big ways Fitbit cut down the Versa Lite's price tag was by killing music support on it. So in this way, the Lite Edition and Charge 3 have music parity. Neither is going to let you rock out during your workout. The other big difference here is swim tracking, which may be a bigger loss. Both devices are waterproof up to 50 meters, but only the Charge 3 can give you swim tracking metrics. That's because the Versa Lite Edition has lost the gyroscope that was in the regular Versa, which means the Lite Edition can't count laps. It can give you your calories and activity time for swimming, but you won't get detailed metrics. So if you're a big swimmer, the Charge 3 will better serve your needs. If you like to hike or climb stairs, you'll also be better off with the Charge 3. That's because there's no altimeter on the Versa Lite Edition. There's also no NFC for Fitbit Pay on the Lite, though there isn't Fitbit Pay support on the Charge 3 either (unless you opt for the more expensive limited edition). There's still a lot that both smartwatches have in common. Both have heart rate monitors, sleep tracking, SpO2 sensors, female health tracking and activity tracking (save for the aforementioned swimming). They also both use Connected GPS, so you're not going to get the full standalone experience with either here. Even better, both will eventually be able to participate in Fitbit's future features, like detecting sleep apnea and atrial fibrillation. 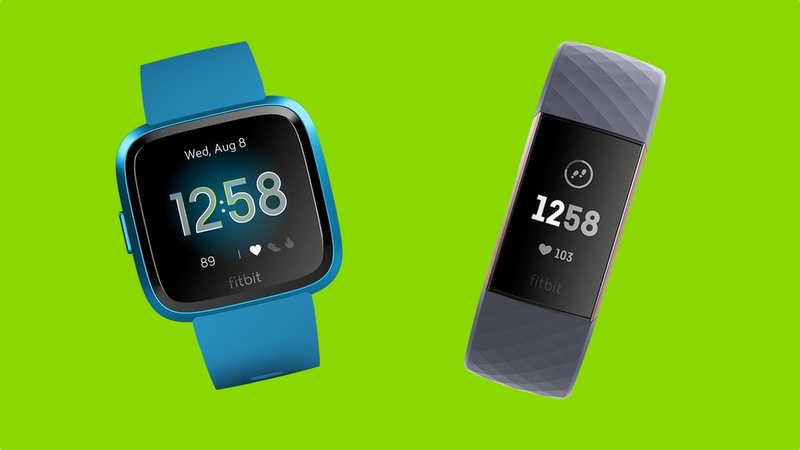 It's clear Fitbit wants these features to the foundation of its future, and thus its newer devices - at the very least - are built for that eventuality. The Versa Lite Edition carries the same "four days plus" battery life that the regular Versa has. In this way, the Charge 3 is the winner. You're going to get a week of battery life on the Charge 3, while you'll only get four or five days on the Versa Lite Edition. As for price, the Versa Lite Edition is slightly more expensive than the Charge 3. The Versa Lite Edition will cost you $159.95 while the Charge 3 will cost you $149.95. That price difference is essentially paying for the ability to run an app store, which will give you cool things like Fitbit and Snap's new Bitmoji watch face. So which Fitbit is best for you? The decision isn't as tough as it seems. The Charge 3 is a better device for fitness and activity tracking, and that's all down to its altimeter and gyroscope, which will give you the ability to track stairs climbed and swimming.